Urban spiders are becoming braver, it seems — at least one species is evolving to be less afraid of the light, German researchers conclude. Dr. Tomer Czaczkes, a biologist from the University of Regensburg in Germany, was taking a stroll one night when he noticed something unusual. The idea seemed unusual, but it did make sense. Spiders generally don’t like light, but urban environments can drastically change the behavior of animals. Previous studies, for instance, have shown that urban moths are less attracted to light than their rural counterpart — this might be explained, in part, by the fact that light sources are much more common, but it might also have something to do with spiders, who sometimes predate moths. 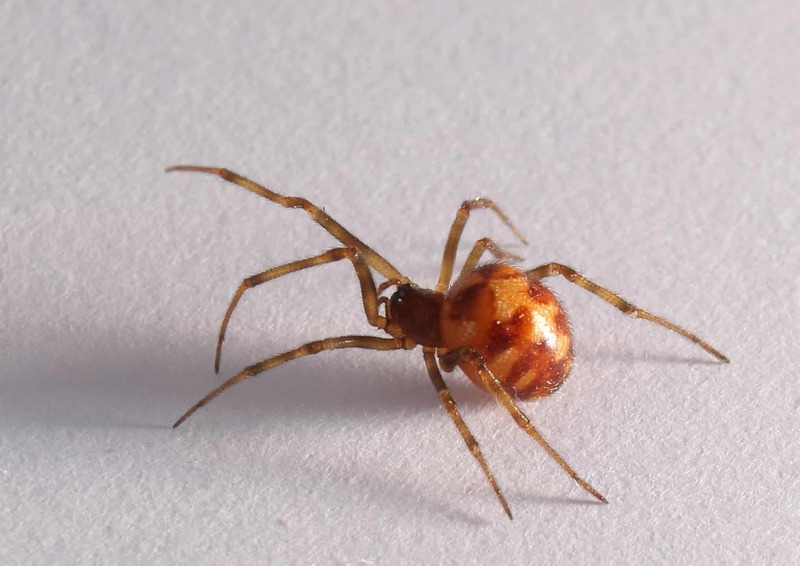 Czaczkes set out to see if there was some truth to this hypothesis, focusing on the triangulate cobweb spider (Steatoda triangulosa), a common species across both urban and rural environments in Europe. Researchers from the University of Regensburg and the Ludwig Maximillian University, Munich teamed up with Aarhus University, Denmark to conduct the study. The experimental setup was quite simple. They gathered egg sacks laid by their chosen animal, both from urban and rural environments. The resulting 783 spiderlings were then split into individual boxes. The boxes had a dividing board down the middle, and one of the sides was lit by a lamp that produced no heat (to ensure that heat is not an influencing parameter). The other side was completely dark. Two gaps in the dividing board allowed the spiderlings to easily go from one side to another, and spiderlings were then placed at random in either the light or the dark half of the box. The researchers then monitored the spiders to see where they would build their first web. Almost two-thirds of the urban spiders ended up building their web in the light half, whereas only a third of their rural counterparts did the same thing. The findings are not necessarily surprising, considering how much pressure humans are exerting on ecosystems, particularly in urban areas. Generation after generation, the genes are passed down, making urban offspring much more likely to exhibit this novel characteristic. So if you’re seeing more spiders than usual, don’t be alarmed — and don’t kill them needlessly. The best thing to do is to take them outside, using the old glass-and-cardboard trick, or a simple sheet of paper. In temperate areas such as Europe or the US, spiders can provide effective pest control, as they feed on common indoor pests such as roaches, earwigs, or mosquitoes. If left alone, they will generally leave you alone too.